Experts estimate unclaimed assets across the country could top $4 billion to $7 billion, and the amount is growing. The Bank of Canada’s unclaimed accounts alone grew 52 per cent over five years to reach $532 million. Searches conducted by the reporter during research for this story identified more than $10,000 of unclaimed financial assets for family and friends. MONTREAL—Millions of Canadians unknowingly have billions of dollars worth of their money and assets being held by companies and government agencies, available for recovery. “A country so progressive, so socially minded as Canada I find it hard to stomach that we don’t have some safeguards. In the U.S. and around the world they find this a main part of consumer protection,” she said from Cambridge, Ont., where she runs a website and blog called Legacy Tracker. Quebec and Alberta are the only provinces with comprehensive laws, while British Columbia has a voluntary system. But Ontario is studying the adoption of its own system that could shine the light on a large treasure of unclaimed assets, including insurance policies, stocks and pensions. In Canada, the total value of unclaimed assets is unknown but experts believe the numbers are staggering and growing. The Bank of Canada’s unclaimed accounts grew 52 per cent over five years to reach $532 million as of December, with 93 per cent of accounts worth less than $1,000. The bank returned only $14 million to owners last year. 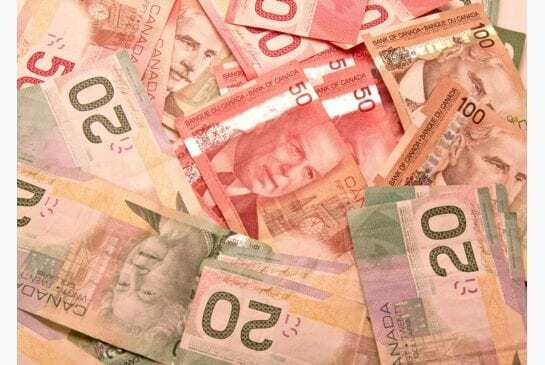 Non-redeemed Canada Savings Bonds and Canada Premium Bonds totalled $391 million as of March 31. The Office of the Superintendent of Bankruptcy Canada holds some $18 million. Quebec has about $300 million of unclaimed financial and other assets, while B.C. and Alberta have tens of millions each. Online searches can be conducted in each of those provinces and with the Office of Superintendent of Bankruptcy, but all Canadians can look at the Bank of Canada website. Searches conducted during research for this story identified more than $10,000 of unclaimed financial assets for family and friends. “I am very surprised,” Syma Shaffer said when told about the discovery of nearly $1,400 from a Montreal bank account closed in 1991. Federally regulated banks are required to hand over unclaimed deposit accounts, term deposits & GICs and negotiable items such as drafts, money orders and certified cheques to the central bank after a decade of trying to notify the owner. Excluded are non-Canadian currency accounts, RRSPs, credit union balances, gold or silver certificates, safety deposit boxes, insurance payments, court payments, stocks and dividends, wages and real estate deposits, most of which are covered by provincial legislation. The largest single unclaimed account totalling $552,000 was transferred from a Royal Bank branch in Montreal. Its owner, Manuel Vinhas, had two dormant accounts worth nearly $677,000. The bank wouldn’t comment on specific cases, citing privacy issues. Greg Crone was elated when informed he had more than $6,600 of assets being held, likely from a deposit related to a 2003 car purchase. But the Ontario resident couldn’t understand how RBC was unable to locate him after a move to another city since he has the same bank account. “It’s pretty shocking. When they want to find you because you’re late on a payment or something they have no trouble finding you,” he said in an interview. Experts say it’s not uncommon for people to lose track of their assets, forgetting old bank accounts or paid up life insurance policies. People often move without forwarding their mail for more than a year and many people die without their heirs knowing much about their finances. “Some people live quite private lives and they die unexpectedly and people don’t even know to look,” said Darren Jack, chairman of a task force for the Unclaimed Property Professionals Organization.